By now, hundreds of thousands of readers have enjoyed our first book, The Indigo Children. It not only stirred the interest of many people throughout the world, with respect to the profound change in consciousness being manifest in these special kids, but it also taught parents, teachers, and caregivers how to interact with these fascinating children. So what do you do with thousands of letters, stories, and observations from parents, educators, and others about their Indigo experiences? Well—you write another book, of course! 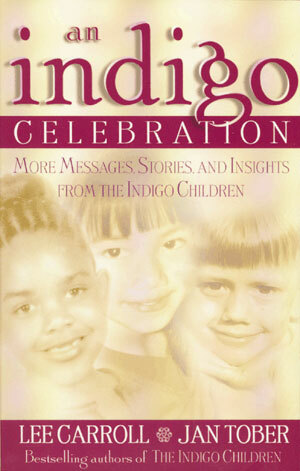 An Indigo Celebration is a collection of essays, articles, and personal insights about the Indigo child phenomenon. Although we will undoubtedly be writing more academically oriented Indigo books down the line, we wanted to stop for a moment and celebrate these kids—how they think, how they act, and what they're bringing to our lives. This book is not only meant to entertain but also to inspire, teach, and provoke meaningful dialogue. The Indigo children are an integral part of the positive transformational shift of the new millennium, and this celebration of them is one we hope you will share in!